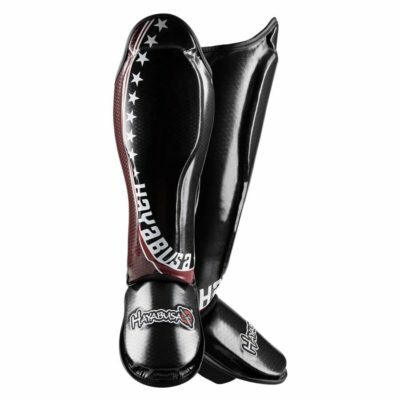 The Pro Muay Thai Shinguards are equipped with an elastic strap under the sole of the foot and an anti-slip backing to prevent sweat from running down your leg, ultimately enhancing control and stability during training. These premium shinguards are designed to last. Dual Density, Pre-Curved Padding for Ultimate Coverage and Protection. Integrated Hook and Loop Closure for a Comfortable, Secure Fit.